Escape the 9 - 5 grind. Wheather your a racer or rec rider these bibs fit bill at a great price without having to take out a loan. The fabric and construction are built to last more than one season but the comfront for longer rides is what brings me back. I'm 5' 11 167lbs. I bought the large size. Fits great in the legs and waist but the shoulder straps are tight and therefor pulls up in the crotch. Someday a manufacturer will make adjustable shoulder straps. Otherwise very good quality. I like these bibs and use them often for training. They seem like they will hold up for a long time and I should get a long life out of them. IMHO bib tops are one of the top advances in cycling over the past 50 years, right up there with all the technical improvements in bicycles. Compared to the old drawstring shorts, bib tops allow much fuller breathing and are more comfortable to boot. I haven't done a comprehensive comparison, but these PI's are definitely extremely comfortable. In particular PI's chamois is so comfortable that I don't bother with gel saddles or even chamois cream (so far at least). And the uppers are great, even on hot summer days. I prefer the all-black version I got a couple of pairs with the neon bands at the bottom of the legs and the neon color seemed to fade a bit with washing. The Idea of a bib didn't appeal to me 'till I tried these. I now have a drawer full of non-bib shorts that I don't want to wear. I agree with some of the other reviewers, the chamois gets better after a couple of washes. The raw edge leg openings are so much more comfortable than the old style elastic band grippers. Feel well made, and I can't find any flaws in the stitching. 5'6, 155lbs, medium fits great. The only negative is a bit of a hassle to use the toilet. If in doubt about size go with the larger. I have bought PI bibs for years but these fall short. Sizing is off (have worn medium for years) and these are too small. Chamois is also too thick, diaper like. 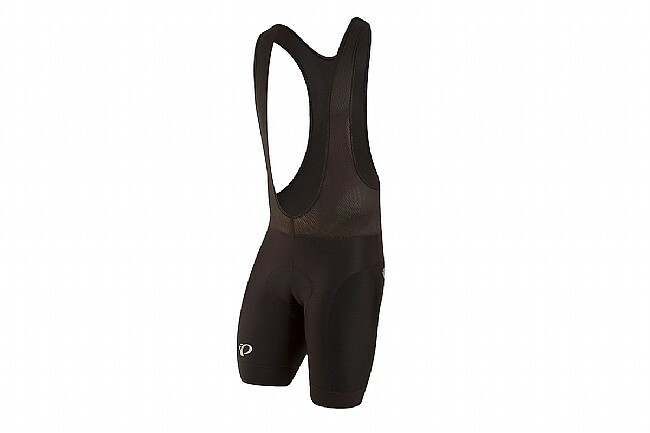 did not even ride in them, returning for credit, not sure I want to try another pair of Pearl Izumi bib shorts. The chamois is thicker than the green chamois in the PRO version, which I like better. I also prefer the shorter inseam length than other shorts I've worn. Good quality and they last a long time. These are very nice bibs for a reasonable price. I'm 6'4 200 pounds. XLs fit great. I'm a big PI fan. Compression is just right. I still like my PRO shorts the best but the Elite are my next favorites. They work fine for long rides. The price, they can't be beat. I have been a huge fan of PI stuff for twenty-plus years now. My only quibble has been some inconsistency in sizing in recent years, as PI started upsizing stuff for us fatter Americans. Thus, I have had to return some XL jerseys for Large, however, on shorts, bibs, knicks, and tights I have stuck with XLs with good success. Recently I retired two pair of bibs that I have had for probably ten years-and one only because an errant saddle bag strap wore a hole in the inner thigh! I replaced them with one pair of the new PROs and one of these Elites. I wanted to see if the PROs were worth the 30% premium over the workhorse Elite models. Sizing-wise, both pair of XLs fit my 6'! 182lb frame well. Though I am blessed with a 32 waist, I do have large glutesupper thighs, which has always necessitated I go XL but then run the risk of a looser waist or less compression in the thighs. That was not the case with either here. Both provided firm and comfortable compression with no excess material evident anywhere. I will say that the PRO might run just a tad smaller, which is exactly what I was once told by an inside rep at PI. Regarding finish, the PRO clearly has a more refined look with smoother and flatter seams and a few more panels used in its construction. I cannot say that I discerned any difference in the feel of the fit as a result of this, however. Finally, the pad in the PRO felt a bit firmer and, well, a bit more pro. But for my typical two-to-three-hours-max ride, the Elite pad held up well and was consistent with other brands I have tried. If you're a long-distance rider, you may find the slightly firmer PRO ride an advantage. Summing it up, the PRO model is clearly a step up above the Elite but for a fairly significant premium. If you are more value-conscious and are not a typical four-hour-plus rider, you will likely be happy with the cheaper Elites. But if you are one whose ego demands having PRO on your logos, and you are a high-mileage rider, you will likely find the additional premium over the Elite worth it. 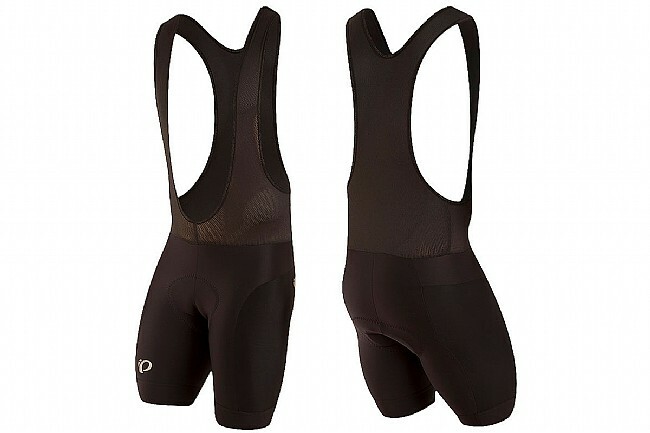 Pearl Izumi Men's Elite In-R-Cool Bib Shorts are great kit. Pearl Izumi makes awesome cycling kit. The fit is a little tight but they are very comfortable for longer rides.